We have been at the forefront of developing microsampling techniques over the last decade. In light of recent ICH developments, particularly the draft Q&A document for the toxicokinetic guideline (S3A), we have successfully developed a range of applications for micro-blood sample collection that have already been used in over 100 studies across a range of study types. We are proud to offer this approach as a means of reducing animal usage and test item requirement; as well as improving the quality and relevance of toxicokinetic data. The field of microsampling has continued to develop over recent years with many clinical and non clinical studies already seeing the benefits of the approach. The technique involves the collection of small blood samples (typically 50 µL or less), which can then be used for assessments such as toxicokinetics. 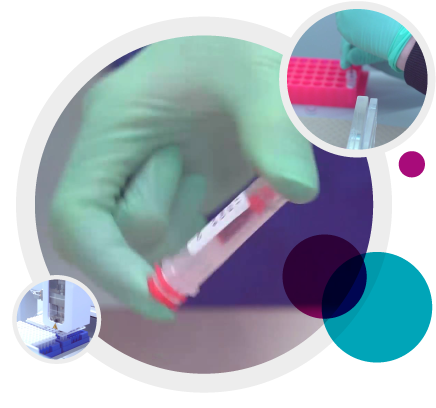 Microsampling techniques can be implemented across a range of study types, covering studies across the general, genetic, reproductive and juvenile toxicology disciplines. We use a number of devices for whole blood and plasma or serum sampling and can readily adapt the sampling requirements for specific studies. Our routine practice would currently be to recommend the use of either the Stardstet Microvette® for plasma sampling, or the Drummond Scientific Aqua-Cap® capillaries for whole blood collection. Furthermore, we can use dried blood spot techniques. We continue to expand on our available capabilities, including working with manufacturers to develop new options for blood sample collection. Microsampling enables, as a minimum, a substantial reduction in the numbers of satellite animals required for toxicokinetic and other analytical purposes. Furthermore, the complete removal of satellite groups is possible, with toxicokinetic data obtained directly from the toxicity study animals. Techniques for microsampling are less severe than those used for taking larger blood samples and are less likely to require anaesthesia or warming of animals. Studies with juvenile rodents are ideally placed to benefit from microsampling techniques, as they typically allow the use of non-terminal blood collection. Most Sponsor derived studies to date have necessitated the use of conventional ‘macro’ samples, and therefore the study designs have included separate satellite animals. Microsampling can significantly reduce the number of satellite animals needed. Here at Sequani, we have developed blood sampling techniques for sampling juvenile rats as part of our internal validation studies. The utility of microsampling approaches in large animal species should not be underestimated. This is particularly true for minipigs, where traditional blood sampling methods involve invasive procedures that are not without risk and, in some cases, surgical implantation of catheters. Poster – Investigation of micro blood sampling from the marginal ear vein of the Gottingen Mini-Pig for Non Clinical Safety Studies.